Living healthy is not difficult today. In this book, Coconut Flour for a Healthy Living, you will find many different recipes and reasons why you should use coconut flour. Coconut flour is gluten-free, very low carb, actually lowers the calorie content of food, promotes lipid oxidation, aids in digestive health, and helps balance blood sugar levels. 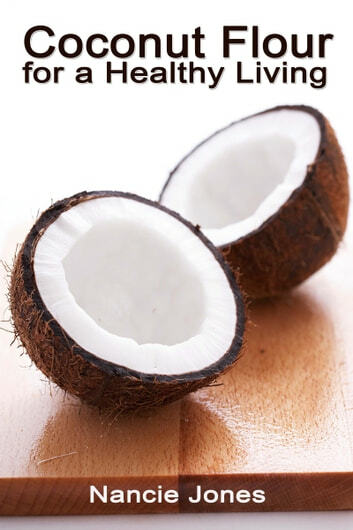 Coconut flour is a healthy food and recommended to everyone, especially those who want to lose weight. Today, it is possible and easy for you. Read this wonderful book that will make you get up and make some of the recipes that are in the book. Everyone wants to live a healthy and beautiful life, it's not impossible if you really want it and this book will help you with that, guaranteed. Complete Guide of Becoming a Vegan: Why Wait? Start Being a Vegan Now. Vegan Baking: Mouth-Watering Vegan Baking Recipes Including Muffins, Breads, Cakes & Cookies You Will Love! Very short but very informative. Did not realize that coconut flour was so absorbent. Now realize that I have to adjust the liquid content so that my recipes can retain their moisture.